I said I wanted a road trip and while this isn’t with the new car … I’m having fun! 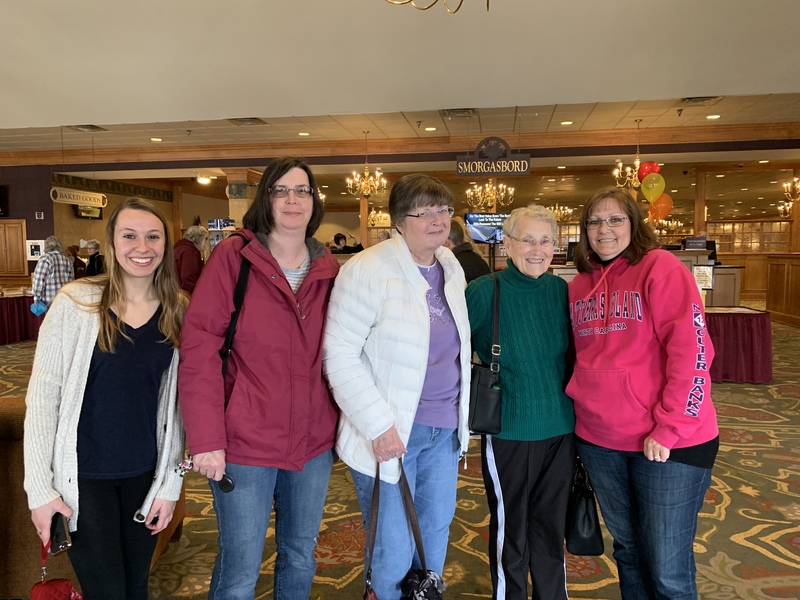 I flew to Virginia on Monday, Mom and I drove to Maryland on Tuesday, my sister Ann, Mom, and I drove to Pennsylvania today and met up with my Aunt and my cousin and her daughter. Mary Ann and Ashley stayed for lunch and a visit to Weaver’s Dry Goods before they had to head back home. 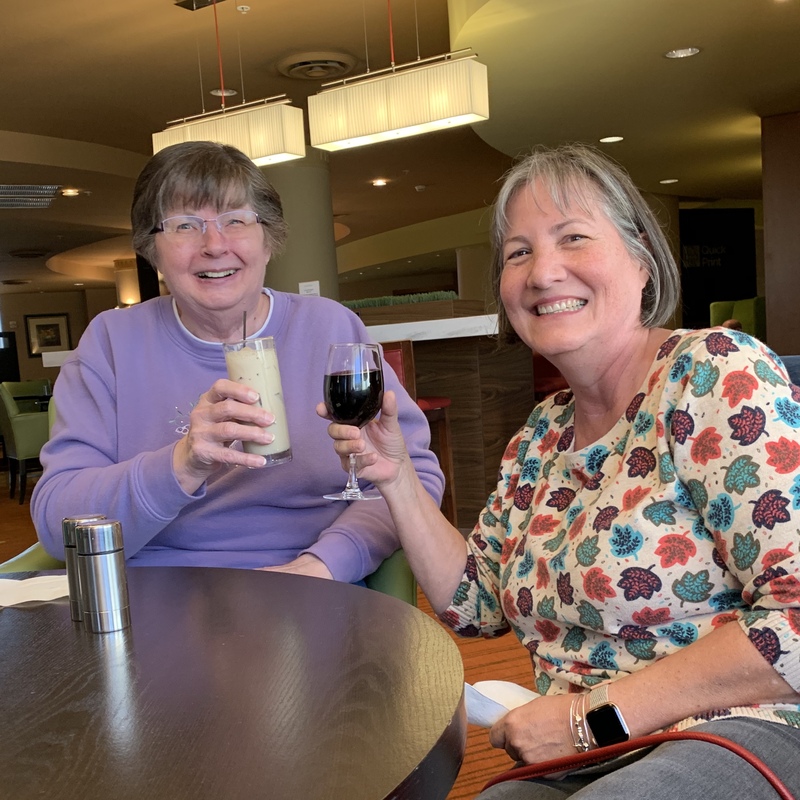 The rest of us are staying for a couple nights in Lancaster and headed for the hotel to visit, have dinner, and for some of us, a drink or three (they were really small glasses of wine)!!! Tomorrow, we’ll go to the Lancaster Quilt Show. Have fun and don’t buy too much!! Enjoy! I’m eager to see photos of the show. What a great trip. I hope you had a blast! Welcome to PA and the Lancaster shows. Maybe I’ll see you there tomorrow. I hope to be able to get there. Enjoy all Lancaster has to offer. Road trips to visit far away family can be so much fun. The smiles prove it. Now that sounds like a very good time!! What fun! Mom and I are going to Hershey in July for Quilt Odyssey. Color me GREEN with envy!! I used to attend the Lancaster Show every year when we lived in NJ. I haven’t been since we moved to NC.I know you will have tons of fun (and be exhausted afterwards.) Enjoy!! fun trip. I have been longing for a road trip, even if it’s only a day trip. Great pictures. Glad you got away.